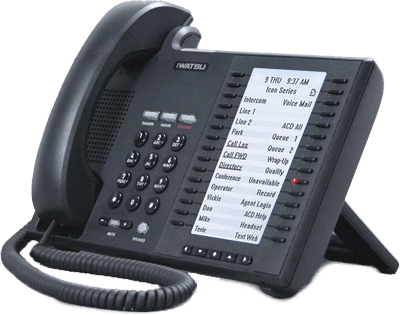 Hosted Communications | AEX Communications, Inc.
AEX Communications, Inc.’s hosted VOIP service includes the following items as part of a turnkey, inclusive monthly telephone service – No surprises!! Installation – There are no upfront installation charges. Programming – There is no charge for initial programming and subsequent programming changes to meet customer needs. Hardware – AEX provides use of the required hardware including top of the line IWATSU display speakerphones as part of the hosted communications package. Features Included – Voicemail, voicemail to email, caller ID, direct dial service, follow me service, fax to email, eight party conference bridge, and remote office support. Quality of Service – Customers with an AEX T1 circuit receive quality of service for their VOIP telephones. Support and Training – Customer support and training are included in the hosted communications package. Service – AEX provides service including onsite service for customer locations with an AEX T1 circuit if required as part of the hosted communications package. One Number to Call – There is no longer the need to determine whether the problem is in the telephone lines or hardware for customer locations with an AEX T1 circuit since AEX takes charge of both.